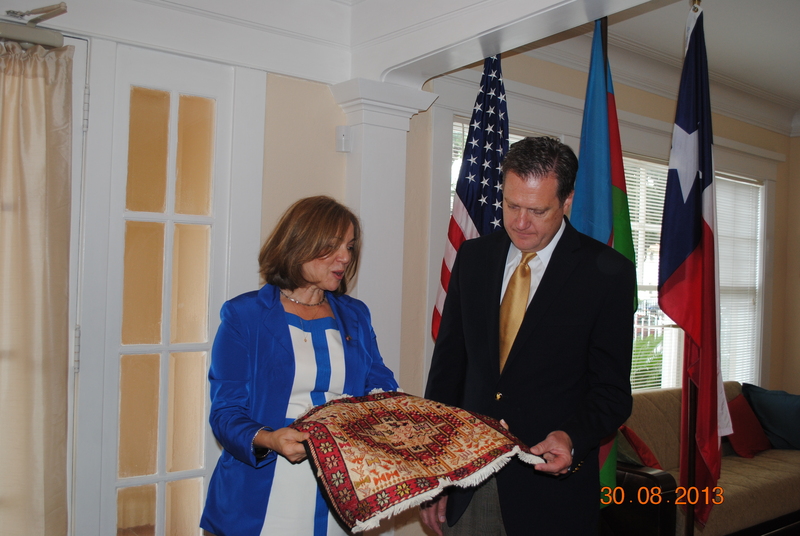 On August 30th, 2013 Congressman from the state of Ohio Michael Turner visited the Azerbaijani Center in Houston. 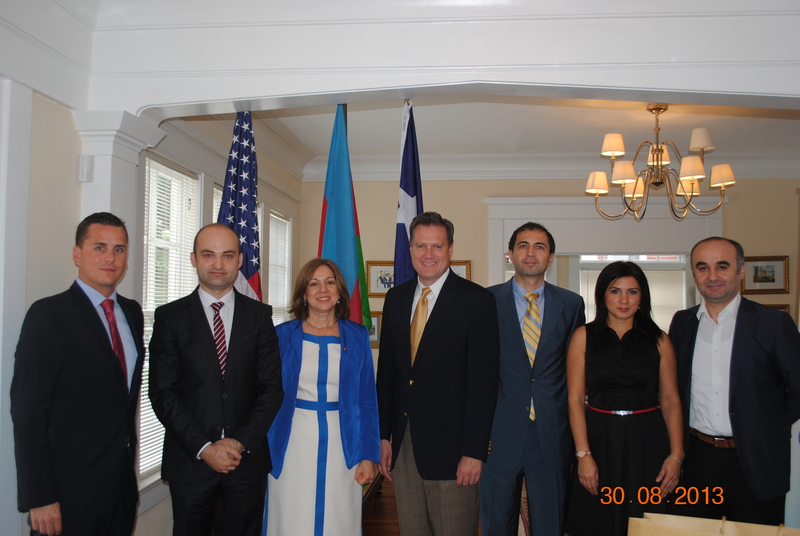 At a meeting with members of the Azerbaijani community of the city and friends of Azerbaijan, Congressman discussed a number of issues concerning bilateral relations between the United States and Azerbaijan. Michael Turner represents the 10th Congressional District of Ohio, and is chairman of the Subcommittee on Tactical Air and Land Forces of the Armed Forces Committee of the U.S. Congress and a senior member of the Committee on Government Reform and Control of the United States. As a supporter of U.S. activeness in energy security, improving mutual relations and trade ties between the U.S. and its energy producing allies and as an author of the resolution in Congress calling for strengthening of energy security of European allies through the implementation of the Southern Corridor, Turner discussed the Trans Adriatic Pipeline project and significant contribution of Azerbaijan to its implementation and energy security of Europe. 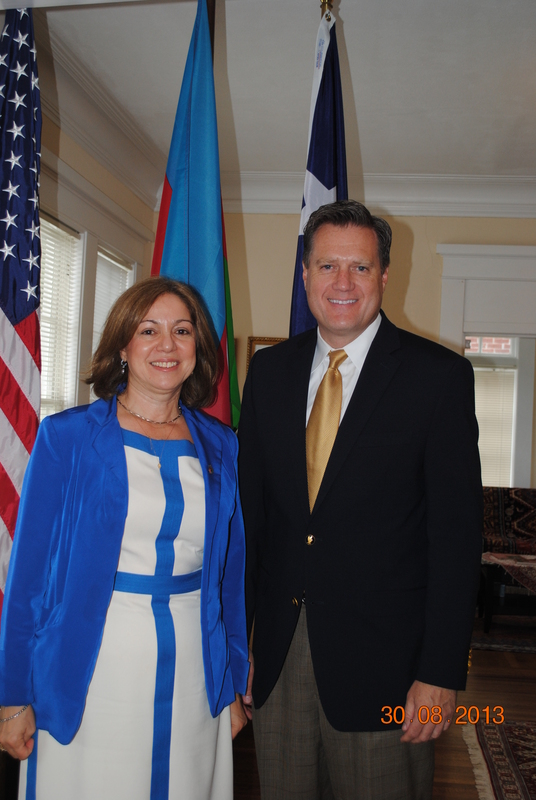 The legislator said that the U.S. administration should pay more attention to Azerbaijan in this sphere. 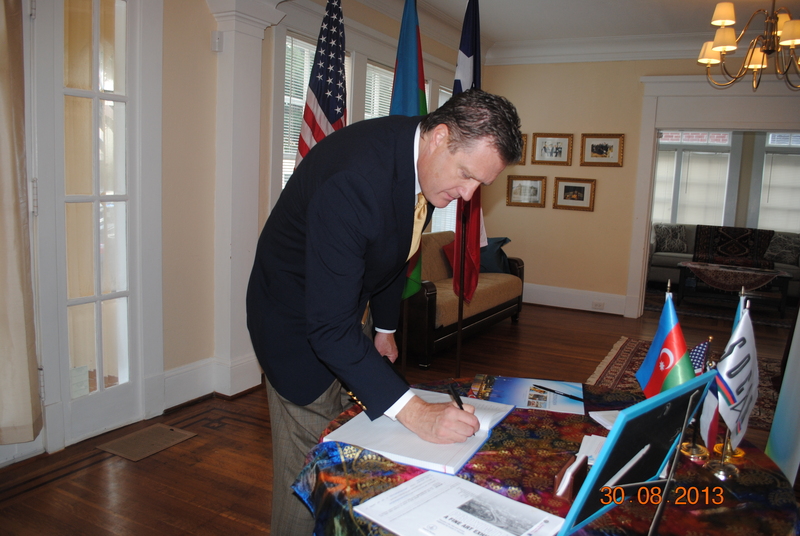 Congressman got familiar with the work of the Azerbaijani center and praised the project of twin cities, in particular the work of Houston-Baku Sister City Association, which for the past 37 years has made a tremendous contribution to development of relations between the two oil cities of Azerbaijan and the United States as a whole. Turner noted that the Azerbaijani Diaspora in the U.S. is growing, stressed the role of the U.S. Azeris Network and members of the Azerbaijani community in general in the development of US-Azerbaijani relations.